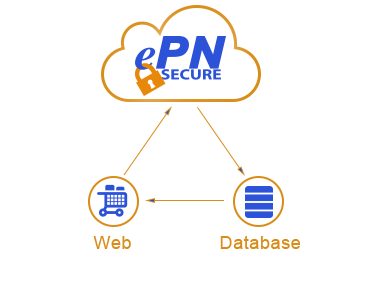 Integrate eProcessing Network solutions directly into most Web pages, shopping carts, and third-party software. ePN provides specs, sample code and support at no additional charge. Listed below are the tools to payment-enable your solution with eProcessing Network. PLEASE NOTE: we recommend working with an experienced programmer in order to use the integration options below. This Mobile SDK Software Development Agreement (the "Agreement") is entered into by and between eProcessing Network with its principle offices at 1415 North Loop West, Suite 1185, Houston, TX 77008, herein ("ePN") and the Mobile Software Developer (named above) on behalf of itself and its affiliated entities ("MOBILE SOFTWARE DEVELOPER"), each a "Party" and collectively, the "Parties" to this Agreement. WHEREAS, eProcessing Network has developed a Mobile Software Development Kit (herein "SDK") for its encrypted audio-jack card reader and mobile app software, (see section 6.) that include enhancements, improvements, updates, additions, derivative works, documentation and related materials (herein "SDK Software") and Mobile Software Developer wishes to receive the SDK Software for its branded use and exclusive connections to the ePN Secure Payment Gateway. This Agreement constitutes the entire agreement between the parties concerning the subject matter herein and supersedes any and all communications, representations and arrangements whether written or oral concerning the subject matter hereof and Mobile Software Developer hereby acknowledges that no reliance is placed on any representation made but not referenced in this Agreement. No alteration, modification, waiver or addition to this Agreement shall be valid unless made in writing in accordance with this Agreement. NOW, THEREFORE, in consideration of the mutual covenants and promises herein contained, the receipt and sufficiency of which are hereby acknowledged, Parties agree to the following terms and conditions for the SDK Software Development Program. "SDK Development" means the process of developing, testing, certifying and reporting back to ePN detailed in clauses 2.2 and 2.3 below in respect of ePN software or solutions detailed in (section 11). "Data" means the data required by ePN in order to configure the SDK Software and Testing environment and the data provided by Mobile Software Developer to ePN in the course of the SDK Development including all data processed during Certification and Testing operations. "Intellectual Property Rights" means all intellectual property rights, including patents, trademarks, trade name, service mark, copyright, trade secrets, know-how, process, technology, development tool, ideas, concepts, design right, domain names, moral right, database right, methodology, algorithm and invention, and any other proprietary information (whether registered, unregistered, pending or applied for). LEVEL I SUPPORT MOBILE SOFTWARE DEVELOPER acknowledges and agrees to accept all initial first level support calls from its merchant/customer and further agrees to maintain records relating to problem, resolution and contact information of the Merchant. LEVEL II SUPPORT: MOBILE SOFTWARE DEVELOPER acknowledges and agrees in the case of a technical issue (Second Level) related to the Mobile App or Gateway; MOBILE SOFTWARE DEVELOPER may escalate the call to the appropriate technical contact within eProcessing Network and provide the written records relating to the problem. 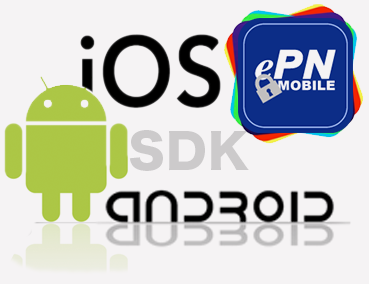 ePN hereby agrees, subject to and during the term of this Agreement to provide the Mobile SDK Software to Mobile Software Developer in accordance with the Agreement and hereby grants the Mobile Software Developer the right to use the SDK Software for the SDK Testing Program. Mobile Software Developer agrees to: (i) use the SDK Software, to track and report all errors, bugs, defects and/or incompatibilities, or any other relevant information about the SDK Development Program, to ePN; (ii) to promptly update the SDK Software, if issued, with new versions and perform all tests reasonably requested by ePN; (iii) notify ePN of any problems encountered or questions relating to the SDK Software by email to sdkfeedback@eprocessingnetwork.com and ePN shall use all reasonable endeavors to respond to issues raised by Mobile Software Developer by email or phone. Upon completion of the SDK Testing Program Mobile Software Developer agrees to participate in any feedback process reasonably requested by ePN, including the provision of any appropriate material, statistics or information that is not deemed confidential to Mobile Software Developer for use in ePN marketing, sales, PR and advertising initiatives. Parties acknowledge that the SDK Software is software code and Parties hereby accept that the SDK Software is provided "AS IS" with no warranty of any kind, express, implied, statutory or otherwise, including but not limited to, those implied warranties and fitness for a particular purpose all of which are expressly disclaimed. to contact ePN in order to "certify" all test transactions prior to obtaining permission to process "LIVE" transactions. ePN will be responsible for the provision of the SDK Software and the ePN-located configuration and any online or phone advice and guidance with the Mobile Software Developer installation of the SDK Software. ePN shall retain all Intellectual Property Rights in the SDK Software and all and any changes including but not limited to any modifications, improvements and updates made as a result of the SDK Testing Program. Mobile Software Developer hereby assigns to ePN all right, title and interest in Mobile Software Developer"s SDK Testing results and feedback and all Intellectual Property Rights therein. Except as expressly set forth herein, no ePN Intellectual Property Rights are granted to Mobile Software Developer. Data provided by Mobile Software Developer to ePN is the property of Mobile Software Developer, and Mobile Software Developer retains all Intellectual Property Rights therein. Mobile Software Developer grants ePN a license to use the Data to the extent necessary for the performance of the SDK Testing and to keep an archival copy for the duration of the Agreement subject to the provisions of the relevant data protection regulations. Subject to Clause 3.3, each Party will treat as confidential all information obtained from the other party in connection with this Agreement. The receiving party will not disclose such confidential information (except to those who have a need to know, and are under a duty of non-disclosure) or use or permit the use of the confidential information for purposes other than the SDK Development Program. Either party will promptly notify the other in writing of any loss or unauthorized use or disclosure of or access to such confidential information of which it becomes aware. Subject to Clause 2.3, Mobile Software Developer acknowledges the business sensitivity to ePN of this SDK Testing Program and agrees not to release, publish or disclose information relating to this Agreement, including the functionality, the performance or quality of the SDK Software to any third party. These obligations of confidentiality will survive termination of this Agreement for a period of two (2) years. ePN will defend and indemnify Mobile Software Developer against all damages and losses finally awarded against Mobile Software Developer or agreed by ePN in final settlement (including reasonable legal fees) arising from a claim that the SDK Software used within the scope of this Agreement infringes any third party intellectual property rights provided that (a) Mobile Software Developer notifies ePN in writing within thirty (30) days of the claim, (b) ePN has sole control of the defense and all related settlement negotiations, and (c) Mobile Software Developer provides ePN with the assistance, information and authority necessary to perform the above. Reasonable, documented, out-of-pocket expenses incurred by Mobile Software Developer in providing such assistance will be reimbursed by ePN. If Mobile Software Developer"s normal use or access to the SDK Software is held or believed by ePN to infringe then this Agreement shall immediately terminate. This indemnity will not apply to infringement arising out of the use of the SDK Software or any part thereof in combination with any equipment and/or computer programs if such infringement would have been avoided by the use of the SDK Software without such equipment and/or programs. The foregoing states the entire liability of ePN with respect to infringement or alleged infringement of any third party rights of any kind whatsoever. Mobile Software Developer will defend and indemnify ePN against all damages and losses, (including reasonable legal fees) arising from a third party claim alleging that Mobile Software Developer"s use of the SDK Software (as opposed to the SDK Software itself) is used to download or share electronic media in violation of such third party"s Intellectual Property Rights in such electronic media or has otherwise harmed the third party. ePN shall provide Mobile Software Developer prompt notice in writing of any such claim or action. Mobile Software Developer shall have sole control of the defense and all related settlement negotiations and ePN shall provide the assistance, information and authority necessary to perform the above. Reasonable, documented, out-of-pocket expenses incurred by ePN in providing such assistance will be reimbursed by Mobile Software Developer. ePN shall be entitled to participate in the defense with its own counsel and at its own expense. NOTHING IN THIS AGREEMENT SHALL EXCLUDE OR LIMIT EITHER PARTY"S LIABILITY IN RESPECT OF DEATH OR PERSONAL INJURY ARISING FROM ITS NEGLIGENCE. IN NO EVENT WILL EITHER PARTY BE LIABLE TO THE OTHER PARTY FOR ANY LOSS OF PROFITS, LOSS OF DATA OR INDIRECT, SPECIAL, INCIDENTAL, EXEMPLARY, PUNITIVE OR CONSEQUENTIAL DAMAGES OF ANY KIND WHATSOEVER EVEN IF ADVISED OF THE POSSIBILITY OF SUCH DAMAGES. MOBILE SOFTWARE DEVELOPER ACKNOWLEDGES AND ACCEPTS THAT THEY UNDERTAKE THE SDK TEST PROGRAM AT THEIR OWN RISK AND FREE WILL, AND EXCEPT AS SPECIFICALLY DETAILED HEREIN, AND TO THE EXTENT PERMITTED BY LAW, EPN SHALL NOT UNDER ANY CIRCUMSTANCE BE HELD LIABLE FOR ANY DAMAGES INCURRED BY MOBILE SOFTWARE DEVELOPER RESULTING FROM THE SDK TESTING PROGRAM DURING OR AFTER TERMINATION OF THE AGREEMENT. THE LIMITATIONS SET FORTH IN CLAUSE 7.3 SHALL NOT APPLY TO MATTERS SUBJECT TO CONFIDENTIALITY UNDER THIS AGREEMENT OR MOBILE SOFTWARE DEVELOPER"S INFRINGEMENT OR MISAPPROPRIATION OF EPN"S INTELLECTUAL PROPERTY RIGHTS THAT INCLUDES THE CONTINUED USE OF THE SDK SOFTWARE BY MOBILE SOFTWARE DEVELOPER AFTER TERMINATION OF THE AGREEMENT. immediately upon receipt of a written notice of termination from the other party. Upon termination Mobile Software Developer shall promptly return the original and all copies of the SDK Software and all related materials to ePN or delete the SDK Software and destroy all related materials, and send written notification to ePN that this has been done. Neither party shall be liable for any delay in performance or failure to perform its obligations under this Agreement due to any cause or event outside its reasonable control. Any communications required or permitted under this Agreement must be written in English. Parties agree that email communication from authorized parties will be an accepted and binding means of communication hereunder. Alternatively, the address on the signature page of this Agreement may be used. The party serving the notice is responsible for, and shall verify receipt thereof, by the other party. This Agreement and any arbitration and court proceedings shall be governed by the laws of the State of Texas and held in the City of Houston, TX. The Section headings herein are provided for convenience only. If any provision of this Agreement is held to be unenforceable, it shall be construed without such provision. The failure by a party to exercise any right hereunder shall not waive such party's right to exercise that or any other right in the future. TLS v1.2 must be used to communicate with the ePN processing platform. The Transparent Database Engine Integration (TDBE) is an Application Programming Interface (API) that allows you to integrate your website or application to perform credit card, debit card, gift card, and check transactions. TDBE allows you to collect customer, order, and shipping information to process transactions from your own secure servers. POST the transaction information to TDBE and we will reply with a comma delimited response. Integrating with the TDBE requires advanced programming skills. Websites and applications that collect and maintain customer order information can use the TDBE to seamlessly process transactions without the customer ever leaving the website. All applications that communicate with the TDBE are required to securely transmit transactions. Developers generally must install the required security libraries for the language being used on their own server. 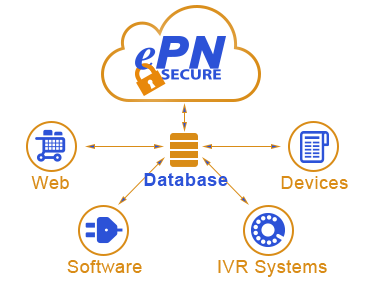 Installing these libraries is beyond the scope of the support offered by eProcessingNetwork. If you are using the TDBE API version 4.1.8 or below, find the documentation by clicking the button below. This demo will submit a transaction on our Test Account (080880). You may login to the account to see your transaction in the "Current Batch" section (Select it from the drop down menu). To use your own account, replace the test account credentials with the account you are working with (don't forget the RestrictKey). Live accounts must have the "Transparent Database Engine" integration unblocked in the "Processing Controls" section (Select if from the drop down menu) of the account. The Database Engine Integration (DBE) was developed for merchants that securely collect and save customer, order and shipping information to their own database, but wish to leave the secure collection of credit card data to us. You can pass your customers information and a few order details to our secure hosted page, where we collect all the credit card data and processes the transaction on a real-time basis. After the transaction has been processed, we can automatically post back to you or we can present an authorization page on our site that indicates the status of the transaction with a redirect button. The button is directed at the URL provided in your post. Just specify your database ID and the URLs for your form handlers with ReturnApprovedURL and ReturnDeclinedURL. You can bypass the Auth/Approval page and automatically redirect and post to your URL by passing Redirect = 1. Live accounts must have the "Database Engine" integration unblocked in the "Processing Controls" section (Select if from the drop down menu) of the account. The ePN Web Order Form Generator assists you in creating order forms for your Web site that tie into ePNs Web Order Template. Advanced options available for the ePN Web Order Template are in the documentation below. The Order Form Generator, will walk you through defining options that once defined, will generate a Web Page that is tailored to your products. The ePN Order Form Generator produces one HTML page each time it is executed, which may be saved to your computer. Use your favorite HTML editor to customize each of those pages as you see fit. Live accounts must have the "Web Order/ePNCart" integration unblocked in the "Processing Controls" section (Select if from the drop down menu) of the account. The SDK provides a framework for processing both swiped and keyed transactions via eProcessing Networks' secure gateway. We support the ePNMobile iMagPro encrypted card reader for card present, swiped transactions. Supporting the iOS and Android platforms, our SDK provides key methods for card reader interaction. For developers who have already integrated Authorize.Net™, we offer an Emulator. 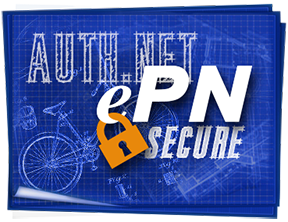 ePN allows the basic set of AuthNet™ transaction types to facilitate a quick and simple migration to our gateway. However, we do not recommend using this product in custom solutions being built from the "ground up". We recommend the Authorize.Net™ Emulator in situations where pre-existing software is being used or if using a shopping cart that will allow the posting URL to be redirected to ePN (instructions below). To use the full potential of eProcessing Network processing capabilities, we recommend using our Transparent Database Engine Integration (TDBE). This API allows credit card, debit card, gift card, and check transactions with the maximum available functionality from our company. 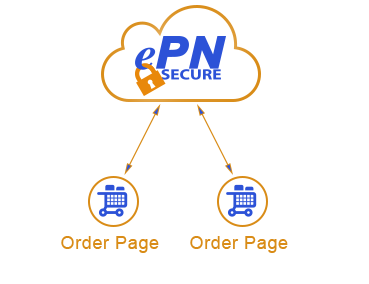 To support the response hash used by all protocols as well as the fingerprint hashing used by the SIM protocol, eProcessing Network uses the RestrictKey in the "Processing Controls" section of the Merchant Support Center (ePN/MSC). Use this RestrictKey as your secret key for hashing. Then just pass in the merchant's eProcessing Network information in place of Authorize.Net™ account information. You must replace the x_login value with the ePNAccount number. Also, replace the x_trankey value with the Restrict Key generated through the ePN account. For documentation on these protocols, please reference Authorize.Net™ directly. Live accounts must have the "Auth.Net™" integration unblocked in the "Processing Controls" section (Select if from the drop down menu) of the account. Currently available for FDR Omaha, TSYS, Global and Elavon. Include a variable called email (case insensitive) to send a reflection of your variables and their value to that email address. This URL will generate a Web page that displays exactly what was sent to it, helping confirm that you are correctly sending required information. Include a variable called email (case insensitive) and this will send a reflection of your variables and their value to that email address.